Anyone who knows me, knows that my love of classic movies basically started with watching Bing Crosby movies. 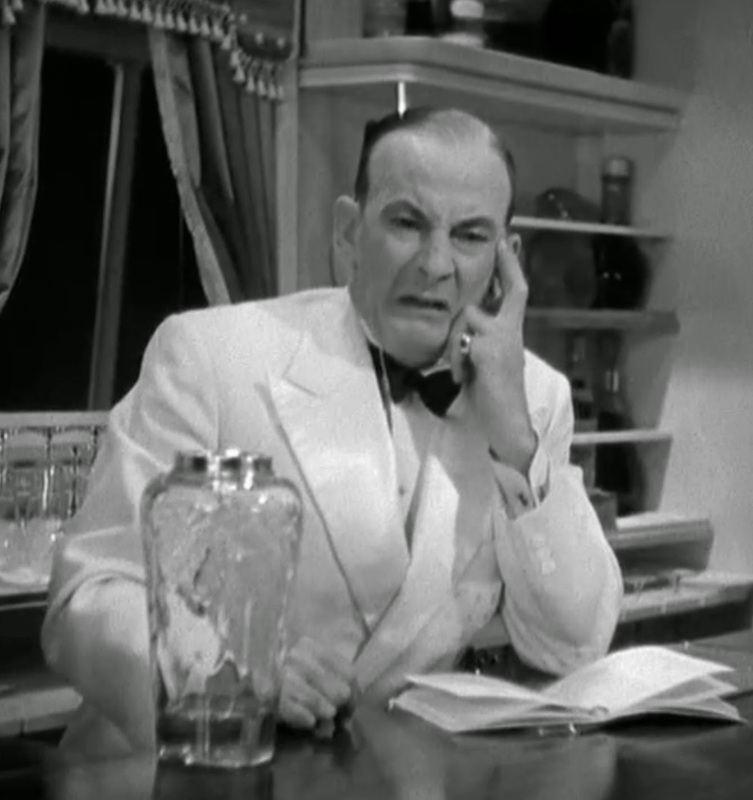 Years ago I was watching the Bing Crosby-Carole Lombard film We're Not Dressing from 1934, and what I liked about the film, (next to Bing's singing) was the comedic appearance of character actor Leon Errol. His bits were sort of corny, but I found myself laughing at some of them! Errol was born Leonce Errol Sims in Sydney in 1891, Errol had toured Australia, New Zealand and the UK in a variety of theatrical settings, including circuses, operettas, and Shakespeare, by the time he arrived on the west coast of the U.S. in 1905. In Portland, Oregon he managed a touring vaudeville company troupe, giving an early boost to the career of a young comedian named Roscoe Arbuckle. By 1911 Errol had graduated to the New York big time in the 1911 Ziegfeld Follies on Broadway, notably in two skits with the legendary Bert Williams. Errol's sister, Leda Errol (née Sims) was a personal friend of Ziegfeld Follies star Fanny Brice, and she appeared with him in the Ziegfeld Follies doing one and two act plays. He appeared every year in the Follies through 1915, when he is also credited as director of the show that included W.C. Fields, Ed Wynn, as well as Marion Davies as one of the Ziegfeld Girls. Errol made his first film, a comic short subject called Nearly Spliced, in 1916 (it was not released before 1921), for pioneering east-coast producer George Kleine. By 1930 he'd left Broadway and turned his full attention to movies, third-billed for Samuel Goldwyn's One Heavenly Night in 1931. The box-office for that film was disappointing, but overall Errol made a smooth transition to films in a variety of comedy roles. His comic trademark was a wobbly, unsteady walk, moving as though on rubber legs; this bit served him well in drunk routines. Errol starred in a long string of two-reel comedy shorts, which began at Columbia Pictures in 1933. He also starred in two early three-strip Technicolor shorts made at Warner Brothers, Service With a Smile (released 28 July 1934) and Good Morning, Eve! (released August 5), just beating the RKO Radio Pictures release La Cucaracha (31 August) as the first live action, wholly Technicolor release. Moving to RKO Radio Pictures in 1934, he continued to make six shorts per year until his death in 1951. 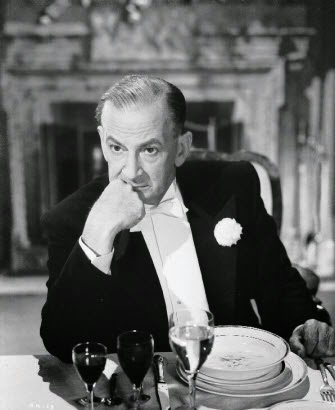 Most of these were marital farces in which Leon would get mixed up with a pretty girl or an involved business proposition, and face the wrath of his wife (usually Dorothy Granger); the theme tune to the series was the nursery rhyme, London Bridge Is Falling Down. Leon Errol is well remembered for his energetic performances in the Mexican Spitfire movies opposite Lupe Vélez (1939–43), in which Errol had the recurring dual role of affable Uncle Matt and foggy British nobleman Lord Epping. Monogram signed Errol to appear as fight manager Knobby Walsh in the eight entries of their "Joe Palooka" sports comedies (1946–50). 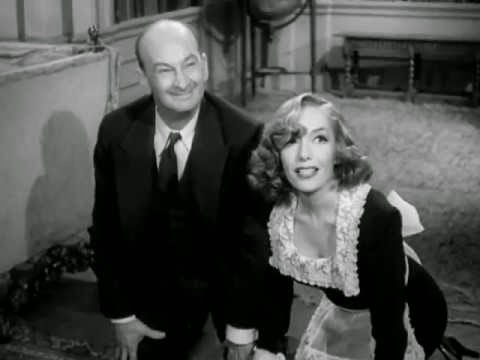 Leon Errol's most famous non-series appearance is in the nonsensical comedy feature Never Give a Sucker an Even Break (1941), starring fellow vaudeville and Ziegfeld alumnus W. C. Fields. Errol's next-to-last film, Lord Epping Returns in 1951, reprised his famous characterization (and some of the gags) from Mexican Spitfire. 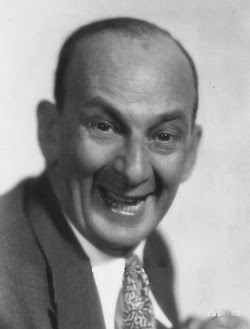 Footage from Errol's short subjects was incorporated into RKO's compilation features Variety Time, Make Mine Laughs, Footlight Varieties, and Merry Mirthquakes. RKO kept Leon Errol in the public eye by reissuing his older comedies through the mid-1950s. His RKO shorts soon became a staple of syndicated television. I adore the 'Mexican Spitfire' films with Lupe Velez. They are just incredibly fun.